One of the best parts about working at My Pet Chicken is being able to talk about chickens, all day long, with people who like talking about chickens! We discuss young birds, and old birds and everything in between. If you’ve just caught the chicken-fever, you know what I am talking about when I say not everyone wants to hear so much about your flock! So I love talking to our customers. When I’m on the phone answering questions about chickens, two of the most common questions I get asked are, “How long will chickens live?” and “How long do chickens lay eggs?” We address those in our Chicken Help pages, but sometimes people like to hear it from personal experience, too. And from my experience, the answer is… it depends. The lovely old bird pictured below is currently the oldest hen in my flock, and she lays an egg every day. This old bird is thinking about laying eggs right now–I can see it in her eyes! Meet Violet. 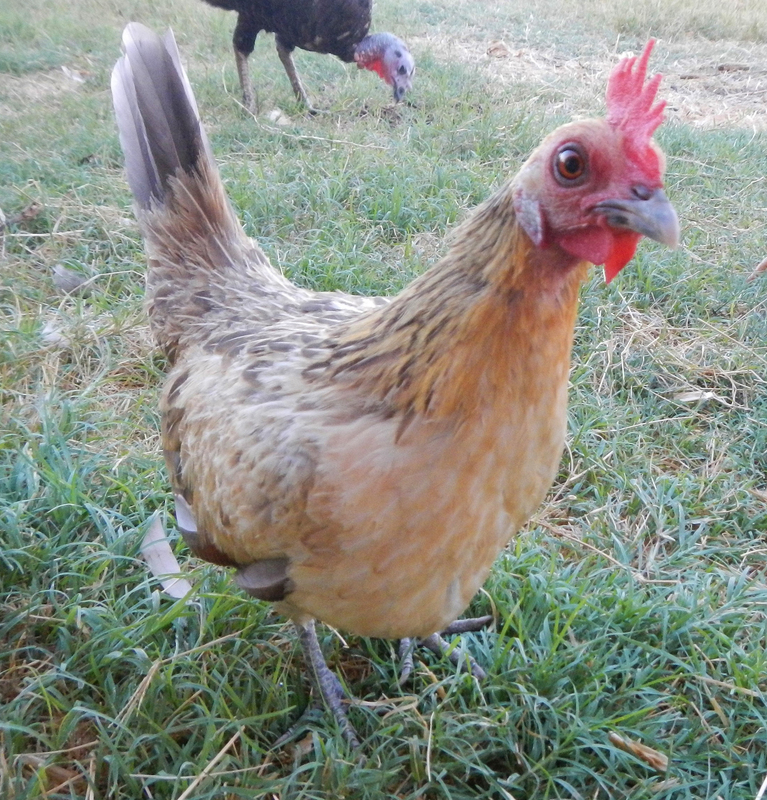 She is the remaining hen from the very first batch of eggs I hatched, oh so many years ago. To be honest, I am not sure how old she is, but I think she is somewhere between 7 and 8 years of age. Violet is still in the egg in this photo… the one at the top, hatching Herself. Old birds can be wonderful to have in a flock, even when they’re not laying. Our Violet is at least as old as my middle munchkin. And Violet is SASSY. Look at the ‘tude in that stance! Even though she’s one of our old birds, Violet lays eggs all year long, unless she’s broody. She’s also a great momma, so I usually let her hatch. Violet is (by no means) the oldest hen I’ve had in the past, though. I’ve had old birds who lived to be 10 years old, most of whom laid eggs all the way up until the day they passed. So, how old do my chickens usually live to be? 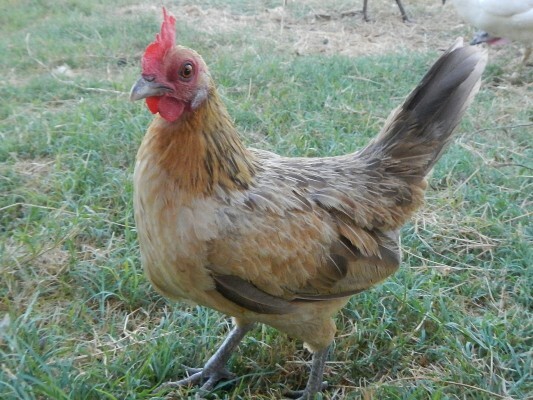 However, the terribly lucky–or perhaps smart–hens can live much, much longer. We at My Pet Chicken regularly get reports of people whose old birds have lived to be 10, 15, and even 20 years old! According to their owners, most of these chickens still laid eggs! So how long will chickens lay eggs? In my own experience, again, it depends. The health of the chicken has as much to do with the answer as the hens’ genetics do. 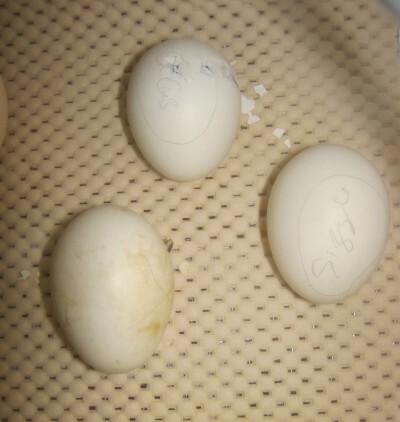 Most breeds lay the largest number of eggs in their first year. With each successive molt, they will lay fewer eggs. I’ve found most of my “retired” hens lay an egg every day during the spring and fall, but may take a break during the winter or the extreme heat of summer. However, there are other factors at play as well: I had a 10-year-old Easter Egger who would ONLY lay eggs in the heat of the summer, and the eggs were huge, with double yolks. I’ve had older Leghorns who also preferred the heat, whereas my heavier-bodied biddies would lay mostly in the winter, when the light-bodied birds had closed up shop! Ms. Violet has been around a long time, lays eggs almost every day, and has hatched out many babies in her tenure here at the farm. 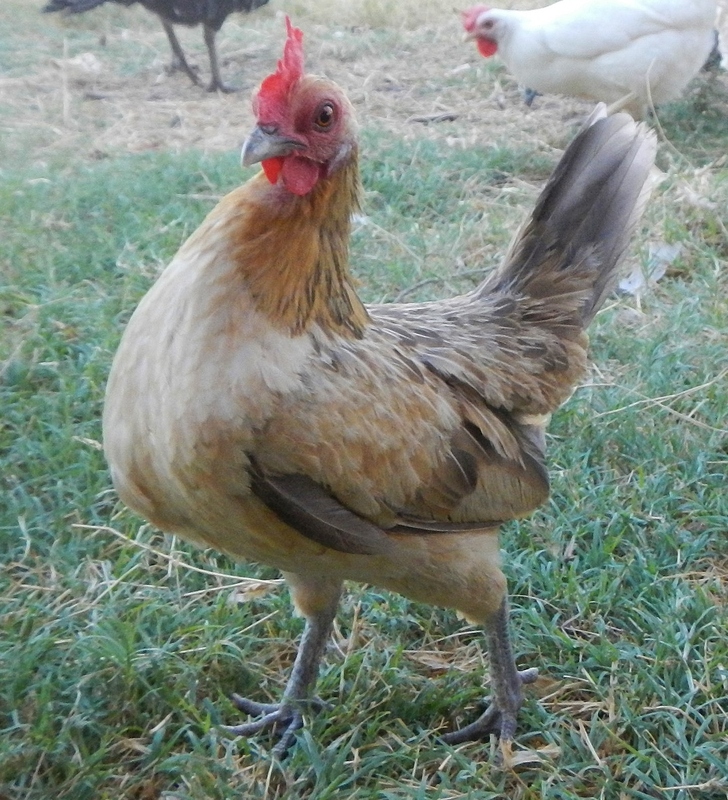 She is smart, fast, and for a tiny Old English Game Bantam, she takes no malarkey from the larger hens or even the roosters. She’s smart, so I hope she ends up being one of the “Lovely Old Birds” we can brag about in our flock… and that she sticks around for a long time to keep making us laugh with her sassiness! Here’s to Violet, our lovely old bird. Who are the old birds in your flock? Do they still lay? What breeds are living longest for you? We have 3 older hens right now. They are all I have left, as events in the past few years have kept me from being able to devote the time and care needed to raise and bind with a new batch.One of them came from a friend, who had gotten her a few years before from a neighbor. I have no idea how old she is, but at least 10 years. She can’t manage the high jump to the night roost anymore, but wants to be there with her friends. So every night, she comes to our front door, gets up on the wood railing, and calls for my husband to come get her. She then jumps down, runs a few feet along the sidewalk, and squats down waiting for him to cuddle her and carry her to the coop. The other two hens save her favorite spot. It’s so very, very touching and sweet, especially since my husband was a city boy, and is just as amazed by this relationship as we are. I have a lovely little gray hen who is about 9 years old! She was hatched at my home. She is a cross between an Austrolorp and a polish. She has survived 3 massacres by raccoons and during one she was the only survivor of about 20. I found her a month later down the road.